Matt Reynolds is a professional football player. He entered the National Football League as an undrafted free agent with the Carolina Panthers in April 2012. He was released following training camp and then was signed by the Philadelphia Eagles and stayed on the practice squad roster for a season. After the Eagles waived him in May 2013, the Kansas City Chiefs claimed him off waivers the following day. During his collegiate career at Brigham Young University, he started all fifty-two games, tying the university’s all-time record. 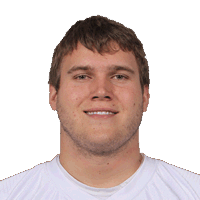 Reynolds was born on May 31, 1986, the son of Lance Reynolds who is the associate head football coach at BYU. He earned All-America honors each year at Timpview High School. He served a mission to Munich, Germany. He and his wife, Brianna, have one daughter. His brother Dallas plays for the New York Giants. This page was last edited on 25 June 2015, at 13:59.